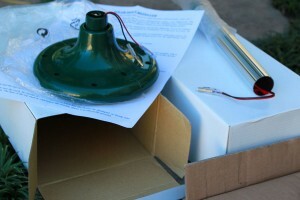 Home > Blog > Gardening > Bugs & Pests > A Solar Mole Repeller – Did they see me coming? A Solar Mole Repeller – Did they see me coming? I have a problem with Moles! They burrow up my garden in search of earthworms and grubs (the former of which I have plenty, the latter, hopefully a few less). I’m fed up with their relentless pursuit of my earthworms and the never ending mounds of soil they kick up in search of them. I’ve tried organic control with some pungent smelling garlic liquid formulation you are supposed to pour down the holes – problem is I can never find the holes and when I do … well, it didn’t work! They keep coming and keep messing up my garden. I have big plans to plant spring flowering bulbs in my garden – this weekend being the big “Bulb Planting Weekend”. I believe moles eat the bulbs. As I have no intention of allowing the moles to eat all my precious bulbs it was time to get serious about mole-prevention. Yes I’ve bought bulb planting trays to protect the bulbs and yes, I will continue to use the organic garlic mole repellent liquid as and when I see their “holes”, but what else can I do to stop them entering my garden? 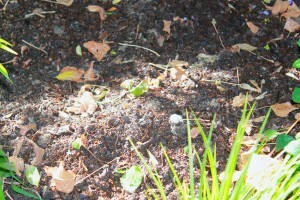 After all, I’m sure my neighbours have quite enough earthworms and grubs for them so … go to # 15 Moles!! They serve better grubs than we do here at #13! Enter the Solar Mole Repeller (made in China!). Right – I’m not convinced this is going to work but I’m so fed up with the moles that I’m willing to try anything at this stage, so I purchased two of these devices and they’ve just been “planted” in the garden! The first one went in, no sound or vibrations but when I put the second one into it’s designated spot it started making a strange vibrating sort of sound – irritating enough for Dexter to bark at it! Had to calm him down and convince him we need this thing in the garden – lets hope he doesn’t dig it up! PS: The blurb on the box says (spelling and grammar unaltered! 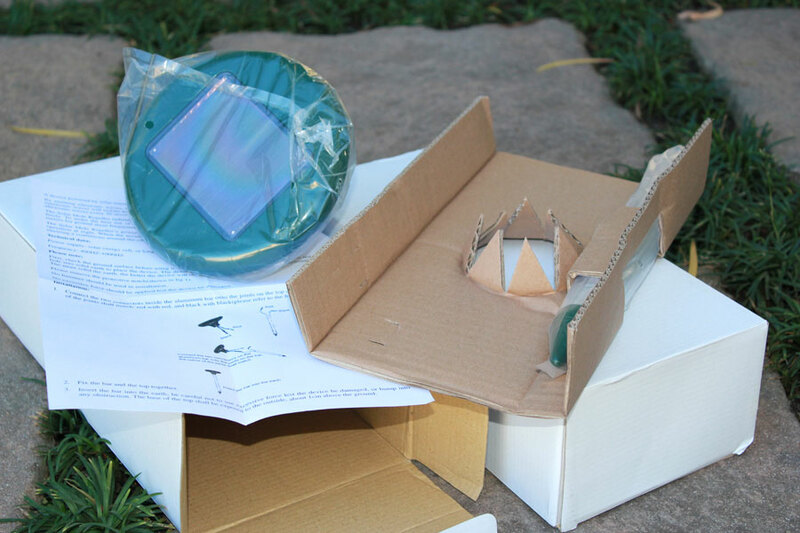 ): A kind of solar energy device making use of ultrasonic to expel moles. To expel rodents (applicable to such animals as moles and shrews), operated on solar energy. 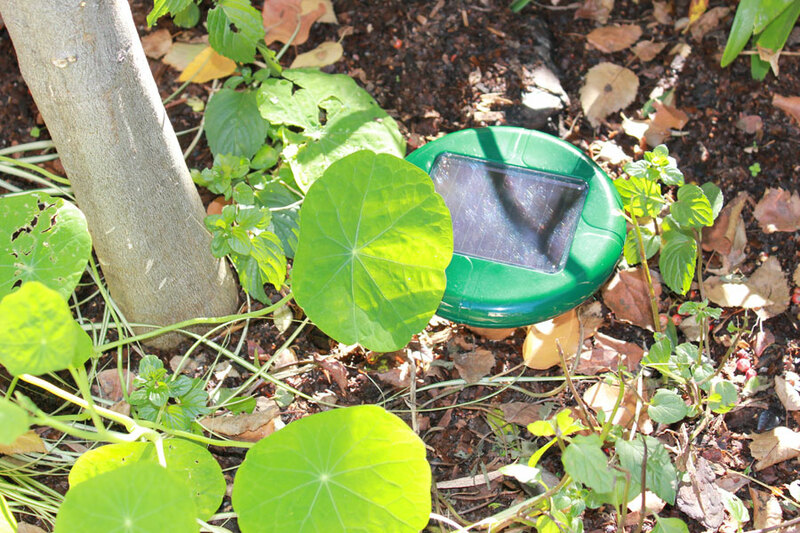 Transmitting ultrasonic via vibration, Garden Solar Pest Repeller is used to affect the acute hearing of underground rodents, with very effective preventive effect. The ultrasonic will deceive them, making them feel endangered, so as to force them away from the vibrating area. Transmitting ultrasonic every 30 seconds, Garden Solar Pest Repeller has an effective range of 650 square meters. Garden Solar Pest Repeller radiates in all directions. During radiation, there shall be no any obstruction to tamper with the ultrasonic. To achieve the best performance, we strongly recommend that 2 devices be installed every 30 meters for those areas frequented by rodents. 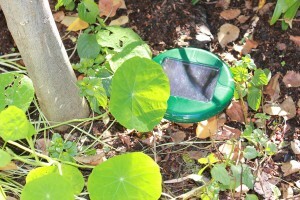 Garden Solar Pest Repeller works on a solar cell, while the other rechargeable cell is charged for nocturnal use. When a cell is fully charged, it can supply power when light is unable to drive Garden Solar Pest Repeller, so as to ensure continuous 48-hour operation. PPSS: “Did they see me coming?” in my post title refers to the people who sell these things. I’m not convinced these will work, sounds to good to be true but time will tell! I’ve used the non-solar ones before (battery-operated), and I had mixed results. Sometimes it seemed like it was working, but other times a mole kept tunneling a few feet away from one. Also, moles don’t eat bulbs or plants — they eat meat (worms and grubs) — but around here voles use the mole tunnels and they sure do eat plant roots, bulbs, etc. Moles will also damage plant roots (and bulbs?) as they plow through. Another repellent you can try is castor oil. I don’t know if this is effective, but many people swear it is. I’ve seen a mole digging among the roots of a castor bean plant, so who knows. Besides, any creature that can dig thru our clay soil, before the winter rain, just with teeth and claws. WOW!!! How do they do that? We have moles that leave small heaps. Those are mole rats I think, and eat bad insects. The real moles dig tunnels and those eat bulbs. I think. Anyway. 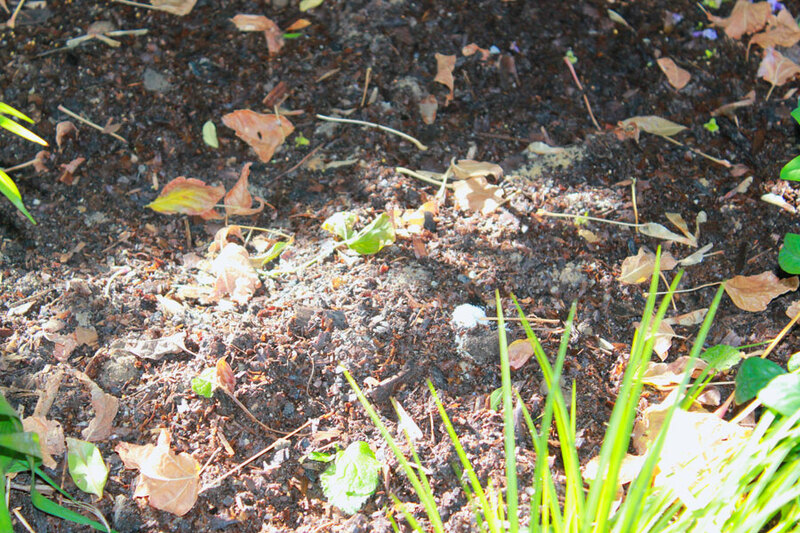 Ours aerate the soil, and we have lots of bulbs, all uneaten as far as I can count. I keep the small bulbs in pots, so I can find them, and enjoy those small flowers in their season. How is your Oxalis? Love this supersonic (I mean ultrasonic!) mole repellant device! I would be very interested to hear how this thing works. I am so glad I don’t have mole problems with my harder-than-steel soil! Let me know, hey? I am sure that my sister would love to have one of those! She suffers with those pesky moles!